There are more movies (even good ones) than a person has time to view and try to make sense of. My interests have been expanding to international, classic, and documentaries. This is really just a list of favorite movies that I saw during 2013. I actually saw 246 movies, most of them worth the effort, but a few duds. My hope is that some people will learn of something to pursue. 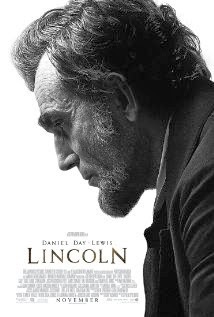 Early in January saw one of the best of the year, "Lincoln." I had read the book that it was loosely based on "Team of Rivals" of which this was only a small section. The key thing was how Lincoln accomplished his goals. From the book I realize he put his most serious rivals into his cabinet recognizing that they were intelligent men, but also in a place where he had some control over them. He went to great lengths to flatter, bribe, shame many of the opposition to pass the 13th amendment that put an end to slavery before the end of the Civil War. Viewers were made conscious of the terrible tragedy of the war and of his domestic trials. "The Shawshank Redemption" tops on all time lists and deserves to be. On other lists appears "Vertigo", another masterpiece. "Lawrence of Arabia" released in 1962 still seems like a modern day blockbuster. Some classics worthy of the label include "Wait until Dark," "Key Largo," "City for Conquest," "Strangers on a Train," The 39 Steps" and "Harvey." "The Terminal" from 2004 directed by Steven Spielberg was funny, critical of bureaucracy and an example of adaptability. "The World's Fastest Indian" was only watched as I was curious about the New Zealand connection. It was a very interesting film. Also watched "Boy" that had been part of film festival in Hamilton a few years back and enjoyed. Started the year with "Once were Warriors" a very powerful film. Some other English language features I enjoyed included "Silver Linings Playbook" and "The Boy in the Striped Pyjamas." Documentaries. Most of my life I have made an effort to read more non fiction books than fiction, but I think of movies as entertainment, but they also can be effective advocates for a point of view. A chance encounter with Art Dyck opened up a new door. "The Cove", "Who Killed the Electric Car?" "Client 9," "Why We Fight," "Half the Sky," "A Place at the Table." were some that were thought provoking. Danish films continue to impress me. With the limitations imposed by a small populations Denmark is punching much above their weight class. " A Royal Affair," nominated for an Oscar and "In a Better World" that won an Oscar were two outstanding examples. I also watched "Adam's Apples" which was a very different movie than you would see from Hollywood. Mads Mikkelsen, Trine Dryrholm and Ulric Thomsen are becoming familiar faces. 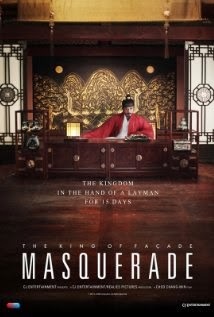 Expanding my interest in world cinema I started noticing films from South Korea. My early awareness indicated they were heavily into violence. "Silenced" was very graphic, but made a very strong point in a very impressive manner. We may not have that particular problem, but no need to be self righteous, We have had similar problems and have similar culture of social coercion. "JSA" was about a unique Korean situation, the border between North and South Korea where guards stare at one another with guns. A lot of tension and an interesting plot. "The Gifted Hand" seen during an Air New Zealand flight. Saw my first romance-comedy from Korea, "After The Banquet" and found it very enjoyable. 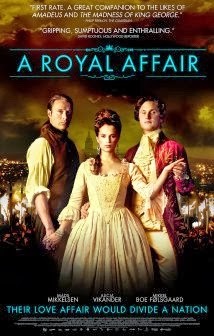 "Masquerade" was another gem with a similar factual theme as "A Royal Affair." "Inside the Sea" Alejandro Amenabar directed and Javier Bardem starred in this 2004 release based on a real story of a quadriplegic who asked for assisted euthanasia. Projecingt his mind was an excellent way of demonstrating his frustration. He was a very intelligent man who wrote-poems. Alejandro incorporated classical and folk music into film, but altered to match the flow of the movie which was very cleverly explained in his commentary. 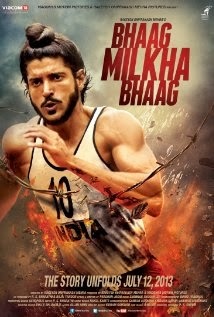 Won best foreign film Oscar. This was my favorite movie I watched this year. I re-discovered Hiam Abbass who usually gets supporting roles and leading roles in little watched movies. She is fantastic. Saw her in "A Bottle in the Gaza Sea," "Miral," "Amreeka," "Paradise Now," "Syrian Bride," and "The Visitor". More on her next year. There were lots of other movies I enjoyed and had some impact, but a list becomes meaningless if too many are included. Your thoughts are welcome--I will simply add to my list of movies to try to make room for. Looking forward to (movies I missed) including "Gravity," "The Hunt," "12 Years a Slave," "Philomena," "The Past" etc. etc.